Currently the environment is increasingly under threat from our exploitation and use of its resources, and unless we all do our part in protecting the environment for future generations there may be nothing left for them to enjoy. One way in which each of us can do our part is by looking at energy alternatives, especially renewable energy. One renewable energy solution to the world's ever growing problem is solar panels. Solar panels work by capturing the sun's energy then converting that power into electricity which is free for the taking, when you have solar panels installed. There are two types of solar panels, solar thermal and solar photovoltaic, both providing excellent energy to help power your home or business, and any excess energy can be inputting into the national grid. Ground source heat pumps are another renewable energy source, and like solar panels it gathers heat from the sun. 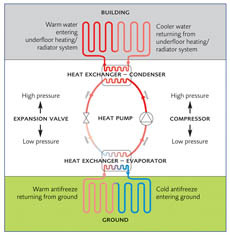 The ground source heat pump is place underground and uses the warmth in the ground, that is created from the sun's radiation, to convert the heat into energy. Alternatively you can use air source heat pumps which, as the name implies, does the same job but takes heat energy from the air rather than the ground. They take heat from outside so to generate electricity for you to use for your home or business. Biomass is another renewable energy that is easy to utilise. Biomass is a fuel which is created from plants, which you can then burn for energy. All these different renewable energies can help to light or even heat your home, and the renewable power sources are easily integrated into your home for better efficiency. All of these solutions not only help save the environment but can also save you money for the long term. 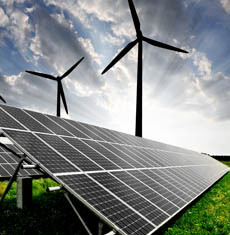 So why not get in touch with one of our renewable energy companies today?